Tim Stocker really proved himself as a versatile and in demand Baritone Saxophonist during his 6 year tenure in NYC from 2010. 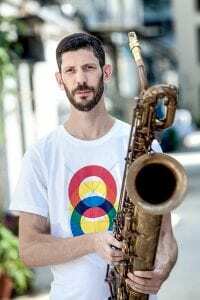 He now lives in Singapore and has been welcomed into the local Jazz community as a performer, educator and event organizer. He’s has come a long way from his home town of Albury in Country NSW, Australia. He spent 12 months in Melbourne before relocating to Sydney to study at the Conservtorium of Music and in 2015 he spent nearly 6 months in London further establishing his international connections. Tim leads his own trio and quartet and composes original music for these group. He has an album coming out which was recorded in NYC in 2015. 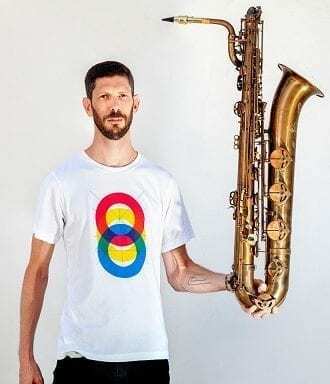 Tim is equally comfortable grooving in the horn section of a pop/soul band, soloing in a small group, wailing in a free jazz ensemble or holding down the bottom end of a big band. – JOHN CLARE, Sydney Morning Herald.